Introverted, emotional or sensitive is a subject that has come up in many of my conversations recently. I am not an expert on any of these but feel a constant question over emotions and how they affect me individually and others in relation to me. 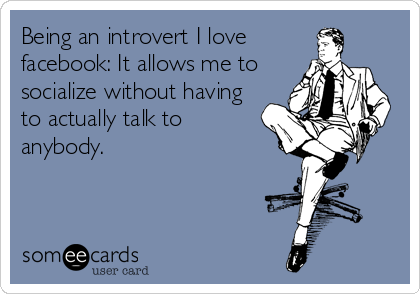 I have seen that to be introverted is the new cool and emotional often portrayed as something negative. Sensitive on the other hand has connotations of good but weak. Or at least this is my take on it. Alongside these 3 words a further question arises, are we all made equal? I am guessing not from the myriad of people out there with their multitude of variations where emotional intelligence is concerned. I would say I fall under all three categories but at the same time feel strongly that these and their counterparts are simply a tool for helping us understand ourselves, rather than something that is inherently good or bad. Its Like a tool kit full of a small range of tools we are born to use. These tools have a natural purpose like a hammer for hitting things or scissors for cutting. By understanding them you can not only bang a nail into a wall but you can create a a building. For me introversion and extroversion are similar. I was strongly effected by the negative associations that people had with introversion when i was growing up. i would get asked why i am quiet or shy. i learned to hide it in favour of a set of behavior patterns that would be considered extroverted, but little did i realize that to do this took a lot more energy than the natural extroverts used. I got exhausted more quickly and had to hide alone for a while to recuperate my energy. This in term made me feel bad because i wasn’t living up to the extroverted ideal. Recently i came across an article on Linked In celebrating the abilities of introverts and it started me on the journey to exploring this personality trait i seem to have and what it means for me. Further letting go of some of these patterns that in actual fact hurt me energetically and leave me drained. I am in a process of becoming more myself and showing it. I think for myself the idea of being emotional is a matter of opinion and seems to be a lot less clear than the personality traits above. My recent discovery of a book called the highly sensitive person while slow going was intriguing for the idea that someone had put some science behind the idea of being sensitive. i would consider myself someone with deep seated emotions and until about 9 years ago never opened up to anyone. The process of sharing my inner world with others has been difficult and rewarding. But the more i share the more i realize how truly unique all are in our experiences of emotions, their intensity and complexity. Added to this is the part we give them in our lives. Some ive sway to their emotional sub world while others hardly allow them to exist. Over sensitivity to others is also intriguing me. When i was younger i became really confused when what i sensed of others around me didn’t match with what they talked about. With some they later confessed that i saw more quickly than they had what they were feeling and that they needed time to catch up, sometimes resenting me for my sensitivity. While with others, they either weren’t wanting to admit to the emotions or i had got it wrong. Making the whole process very hard to learn from. Because its only in hindsight that i can ever tell what the situation was and how i can improve the perception of emotions in people around me in the future. So in conclusion i dub myself an introvert with extrovert tendencies. Deeply and complexly emotional while being highly sensitive to those around me. The challenge for me through the years has always to avoid my chameleon tendencies of fitting in with the needs and wishes of those around me and find a firm footing for myself to be as I was meant to be. The search is still on. Cheap tickets to an exotic destination, whats your flight status? Perpetual Motive poem given here, by popular demand! 15th January 2018 Iwi Center Comments Off on Perpetual Motive poem given here, by popular demand!